Shiseido has appointed Grand Slam women’s singles tennis champion Naomi Osaka as its new brand ambassador. 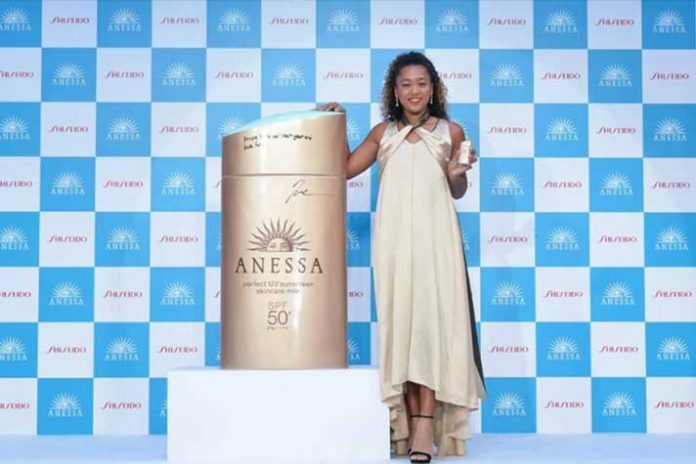 Osaka will be the new face of Shiseido’s beauty brands, ANESSA and bareMinerals. The move comes months after Osaka won her first Grand Slam championship, beating legendary Serena Williams at US Open. “Shiseido never stops innovating and changing to best support the lives of consumers worldwide through beauty. With our ever-stronger foundations and upgraded global structure, such as Osaka, we are always striving to improve ourselves. We are never satisfied, always challenging the status quo. As Osaka gives her best, we too are taking on various new initiatives, challenging the world and reaching for new heights,” the brand said in a release. It added that it shares the same “challenging spirit and world-winning mindset” as Osaka, as it expresses its roots through embracing internationalism. After her US Open exploits, Osaka was earlier appointed as brand ambassador of Nissan. As part of the deal, Osaka will be appearing in global promotions and advertising for the Japanese car brand. In addition, Nissan will support her activities as a tennis player, including the provision of Nissan vehicles at her tour destinations. Osaka is managed globally by world’s biggest talent management company, IMG International.